1974 Dexon was established in 1974 as a pioneer welded steel cabinet manufacturer to cater fro Malaysia's local market requirements. 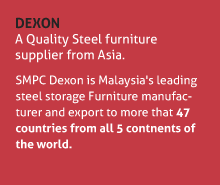 1990 Dexon was acquired in 1990 by SMPC, a group specialized in Steel Service Centre business & introduced a knock down steel furniture range for export market. 2006 In 2006 SMPC Dexon Sdn. Bhd. 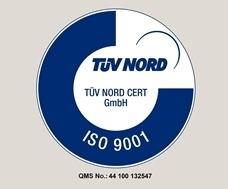 was formed as a fully owned subsidiary of SMPC Corporaion Bhd., a Public Listed company in Malaysia Stock Exchange. Copy Right © 2014 . All rights reserved.